This entry was posted on Wednesday, April 10th, 2019 at 14:39 and is filed under News. You can follow any responses to this entry through the RSS 2.0 feed. You can skip to the end and leave a response. Pinging is currently not allowed. Nice additions to a very imaginative line! Been watching gameplay of Sekiro: Shadows Die Twice on Youtube, which jibes very nicely with these releases. And I already have some of the earlier AA 15mm Sengoku fantasy figures, although at the time I bought those I was thinking more along InuYasha lines. 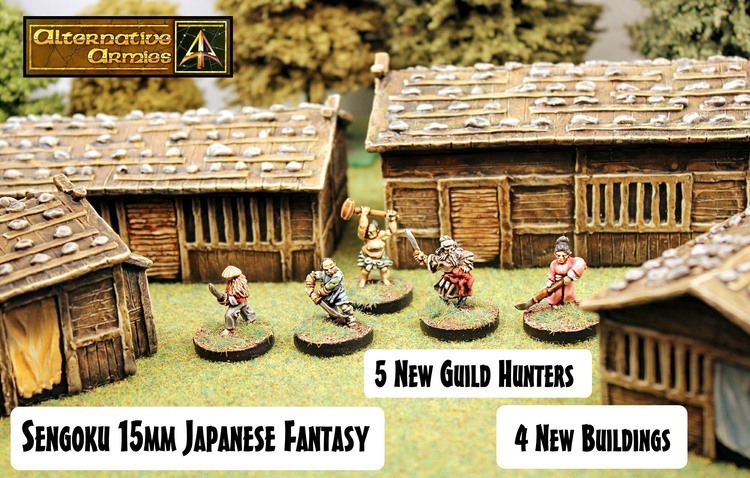 Anyway, I like that the buildings look big enough to be properly in scale with the figures, and as such, suitable for skirmish gaming. Indeed. The buildings are real scale in that they are big enough to manage the figures.